Along Florida'a Northwest Region lies one of the most marvelous vacation spots in the world. West coast beaches are lined with lots of white sandy beaches and emerald waters and the Florida Panhandle (or, accurately nick-named the “Emerald Coast”) is a favorite spot for tourists and Florida natives. Quaint fishing village produces over 3-million pounds of oyster meat a year, plus shrimp and other fish. Love seafood? Come on down, your table is waiting! So serene. This small beach boasts great fishing and seems a million miles away from the rest of the world. Title holder for "The Most Perfect Beach" and "The World’s Luckiest Fishing Village". No wonder this is the most popular destination on the northwest coast. Picture perfect with white sands and some of the largest sand dunes you will ever see. Visit the Air Force Base, Okaloosa Island Pier and the Gulfarium. This beautiful beach has been described as artsy, eclectic and inspiring. A combination of original Florida with a few updates retains old-style appeal! Laguna Beach Florida Secluded and serene; when the body is begging for a re-charge, and it will, remember this Northwest Florida perfect, private getaway. A great beach and a town with an old-world charm that comes from the appreciation, preservation and maintenance of historical icons of the past. Huge sunrises and sunsets and a glorious sun that shines 340 days a year. Water sports abound, join a volley ball game on the beach or just laze on a gorgeous beach. “One of World’s Most Beautiful Beaches”, “Seafood Capital of the World”, “Spring Break Capital of the World”. Come for Spring Break only if you still think being with thousands of college students is a good thing. Put Pensacola, the "World’s Whitest Beach" on your beach bucket list. Spend a day in Pensacola, the seaport city, rich in Spanish culture and lavish in history. Rosemary Beach was fashioned after a West Indies resort. This tropical escape will transport you to another world, like Bali or the South Seas. With rolling white sands, beautiful clear water and excellent shelling, this a proven exciting beach for the entire family. You’ll feel like you just stepped out of a postcard while you’re getting golden on this timeless beach. Beautiful live oak trees on the beach! Warm salty Gulf breezes and a glorious sun giving your body a glow will beat 'a day at the spa' any time! Jim Carrey's movie, "The Truman Show" was filmed in this planned community where all buildings conform to code. Don't miss this charmer! 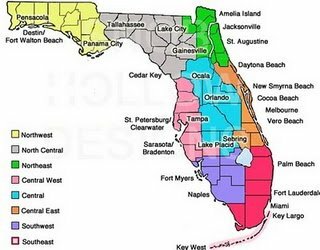 Northwest Florida is also known as Redneck Riviera from bordering several deep south states. Psst. It's okay with us. We kept this area a secret from the rest of the world for a long time. Want to venture further south. Just keep on trucking down the coast to Central West and you find more fabulous white beaches, the sand will still glisten like diamonds, the water and weather will be the same except a little warmer so this is the place to be in winter months!